Armed with composite construction and certified and approved for utilization in various softball associations, the Miken Psycho Supermax Slowpitch Softball Bat can grab the limelight. One of the best designed slow-pitch softball bats in the present generation, user-friendly (no sting) and comes in single length with multiple “drops” in just one model, the Miken Psycho really is worth the attention. While some brands are struggling to solve the perennial problems in softball game bats, this one came striking the solutions with its durable and flexible bat. Slowpitch softball bats are commonly used for slow-pitch type of softball games. The maximum length for this type (slow-pitch) of bat is 34 inches long, with maximum barrel diameter of 2.25 inches and maximum weight of 38 ounces. 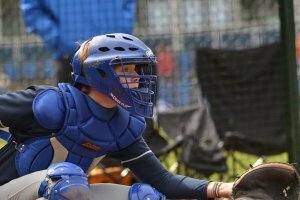 These standards are recognized by different softball associations and organizations across the United States, such as USSSA, NSA, ASA and ISA, among others. 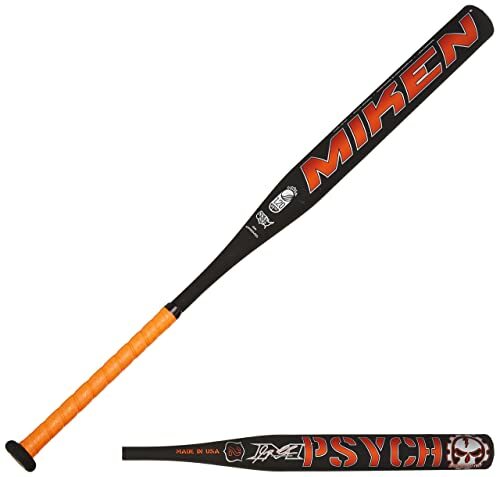 The Miken Psycho Supermax Slowpitch Softball Bat is one of the most popular bats in this type of pitching games. Primarily designed and developed by Miken, a US manufacturer of innovative consumer products such as this bat, is also credited with nearly hundreds of models with one of the highest quality on its sleeve. The essential parts of a bat, whether it is for softball or baseball are the following: knob, grip, handle, barrel and end cap. These parts could have different materials such as wood, aluminum, and alloy. 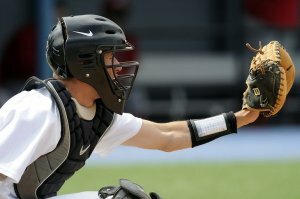 While major tournaments are played in the United States and other parts of the world which include variety of teams such as Men’s, Women’s and Co-ed’s, the use of slow-pitch bats are gaining popularity and metal bats are rising in use than wood. 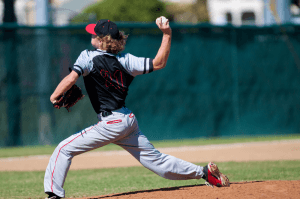 This type of pitching requires the use of slow-pitch type of bat which is continuing to develop and innovate during the last decade where aluminum and alloys becoming the trend. The Miken Psycho Supermax Slowpitch Softball Bat is made from composite materials incorporated with reinforced carbon fiber polymer which gives the bat its shiny and durable finished. The composite construction also gives this bat the trampoline-effect (also called spring effect) of the barrel it needed during matchups. The one-piece construction method of this bat is 100 COMP Certified that is why its durability and performance is well-known among users and coaches. The bat comes in various weights although it has fixed length of 34 inches. The drop (the difference between the length and weight) ratio is pegged at -9, -8,-7,-6 and -4 corresponding to the following weights: 25, 26, 27, 28 and 30 ounces, respectively. Now you have a variety of choices to match your capacity. These different “drops” in just one model could certainly widen your choices. The Miken Psycho Supermax is built with the HPI Injection Technology where ultra-tough adhesive (epoxy) is injected into the polymer carbon fiber using high pressure (750 psi) producing one of the world’s toughest and durable composite construction for bats. 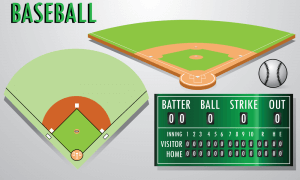 The added toughness of the bat makes hitters to perform well under changing circumstances. The Miken Psycho Supermax enjoys the USSSA (United States Specialty Sports Association) certification of approval to be used on the association’s sponsored games. The slow-pitch bat is also sanctioned by other associations such as ISA and NSA. That is why whether your league is under these different organizations or your college or high school games are tough ones, you have no trouble using this highly rated bat for optimum performance. 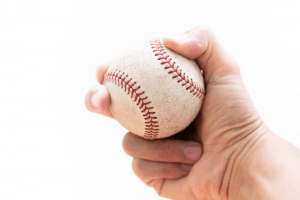 The bat has a barrel length of 14.5 inches, diameter of 2.25 inches and overall length of 34 inches. The common length provided conforms to regulations (maximum 34 inches) as we have stated earlier. 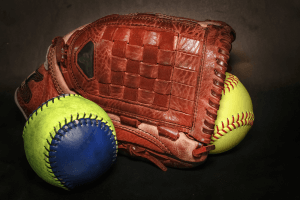 Making one of the best slow-pitch softball bats is not an easy task, especially if it requires high-technology engineering. But the Miken Psycho Supermax Slowpitch Softball Bat was able to do it. This tough and durable product is ideal for teams who want to improve with their performance as a whole. The cutting-edge technology used to make this virtually indestructible product really gives the edge to its users. The big sweet spot it offers is rare for bats of this category. The immense features it has really can enhance a bad performer to a well-loved hitter.